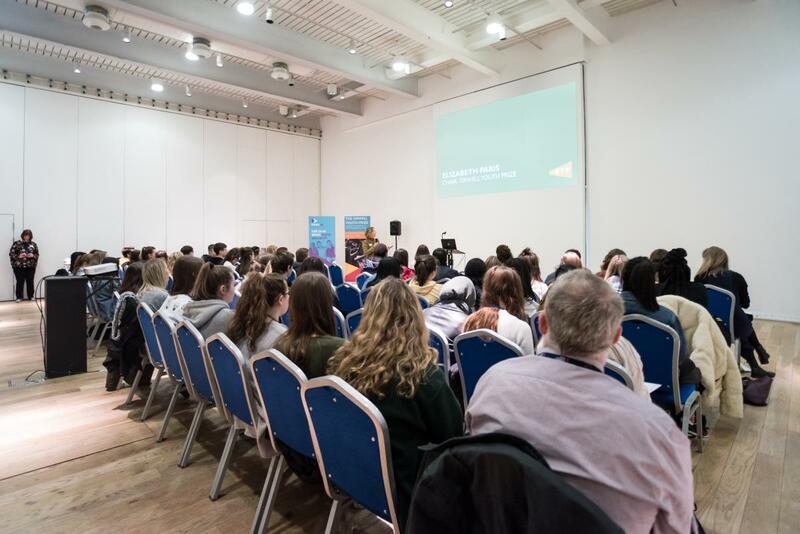 On 14th March 2019 sixth form students from across the North East gathered at the Great North Museum to tackle some of the most pressing injustices in contemporary Britain. Hosted at the Great North Museum, the Injustice Commission brought together local organisations across the arts, education and civil society to support young people to express their vision for societal change. The Commission, an initiative of the Orwell Youth Prize, is a day of workshops investigating injustice in Britain today, from race gender and wealth to educational inequality. Students heard from key players working to create societal change including Claire Ainsley, Executive Director of the Joseph Rowntree Foundation and Sara Bryson, Organiser, Citizens Tyne & Wear. The day began with provocations on each injustice. Presenter Charlie Charlton (BBC) challenged pupils to explore gender inequality while Professor Anoop Nayak (Newcastle University) provoked them to think about racial inequality. Vicky Sturrs (BALTIC centre for contemporary art) explored inequalities in education and award-winning social entrepreneur Sarah Dunwell considered inequality of wealth. In response, the students themselves became advocates for change, working collaboratively to present their own perspectives and creating a powerful case for tackling the injustices debated. Students were also encouraged to enter this year’s national Orwell Youth Prize writing competition, the theme of which is ‘A Fair Society?’. Through a session led by Newcastle based writer and artist Stevie Ronnie, students had the opportunity to practice their writing skills and pick up some key tips to help when writing their entry to the prize. The day was a huge success and the students gave very impressive presentations at the end of the day on the injustices they had been discussing. "It is so important that the voices and views of young people are heard in the conversation about Britain's future. This is a brilliant initiative, bringing Orwell's work right up to date." “Listening to what future generations think about the world we live in and debating the way it should develop, sets us on a path to a better place. I'm expecting a few lightbulb moments...for the students and most definitely, for myself”. George Orwell fearlessly explored injustice in Britain in the l930s. The Orwell Youth Prize strives to enable young people to both retrace his work and strengthen their own voices to help shape the society they are a part of today. The Orwell Youth Prize is an annual programme for 12-18 year olds culminating in a writing prize. Rooted in George Orwell’s values of integrity and fairness, the prize is designed to introduce young people to the power of language and provoke them to think critically about the world in which they are living. FutureMe would like to thank the Orwell Youth Prize for their involvement in the event and for this article.